Behnad Honarbakhsh, MPT, BHK, CSCS, CAFCI, D.O. 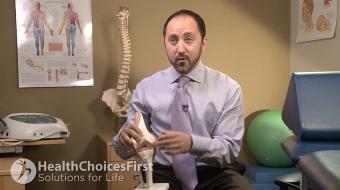 (c), discusses MCL injuries in skiing. MCL tear injury from skiing Behnad Honarbakhsh, MPT, BHK, CSCS, CAFCI, D.O. 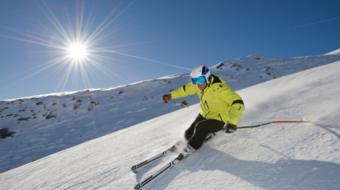 (c), discusses MCL injuries in skiing. While downhill skiing MCL injuries are very frequent and beginner, intermediate levels it usually happens in that snow plow position. You do need good quads to hold that position but then from a fall or when tips cross usually you get a valgus load to the knee and a valgus load is when the force is coming from the outside and the ligament on the inside which is the MCL here gets stretched okay and it could also happen from a twisting. In more advanced skiers, it usually happens when you catch an edge. Now when that happens you are going to get joint tenderness on the inside of your knee and also pain with weight bearing. Now in the first twenty-four to forty-eight hours you want to protect that joint. You want to ice, compress, and elevate, the RICE principle. You want to get to a physiotherapist as soon as you can so we can determine the severity of the injury and to see how quickly we can get going with your rehab. The rehab is going to involve looking at your whole biomechanics to see if there is any predisposing factors that led to this and also to make sure that we can get your muscular activity going sort of coordination, balance, flexibility everything working together. Leaving an injury of this nature for three to four weeks could lead to some irreparable damage and getting to a qualified physiotherapist can really increase the chances of optimal rehab and recovery.